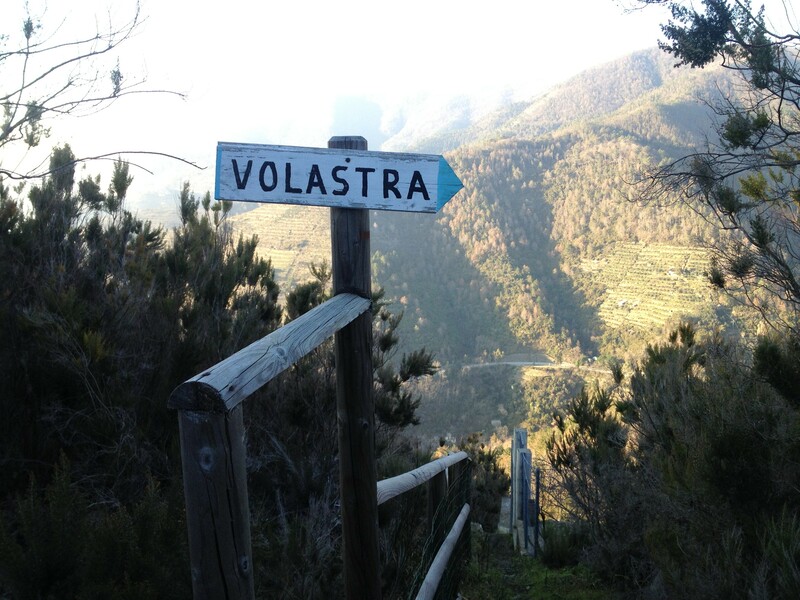 If you’re headed this way you might be wondering what’s the best way to get out and about in the Cinque Terre. There are three recommended modes of transportation: foot, boat and train. 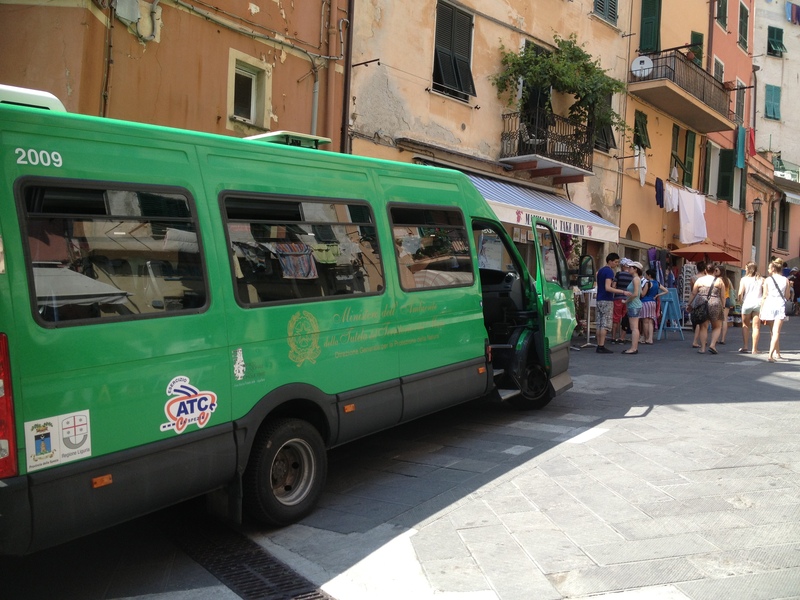 It’s also possible to take a bus within the villages but keep in mind that they run up and down in the villages themselves and not between the five villages (however, there are occasional buses that run to secondary villages still within the Cinque Terre National Park). It is possible to arrive by car to the Cinque Terre but keep in mind that the roads are very narrow and winding and that parking is very limited and therefore quite expensive. Once you park your car you’ll want to use the recommended modes of transportation to get around (and most definitely not your car, trust me!). It’s no secret that the hiking in the Cinque Terre offers up phenomenal views and stunning photos. While there are currently two closures for the famous coastal trail, it is still possible to hike through all five villages by using the alternate trails for the closed portions (see my earlier post on the status of the Sentiero Azzurro). Besides the coastal trail, there’s an abundance of other trails that can be hiked (free of charge!) throughout the national park. 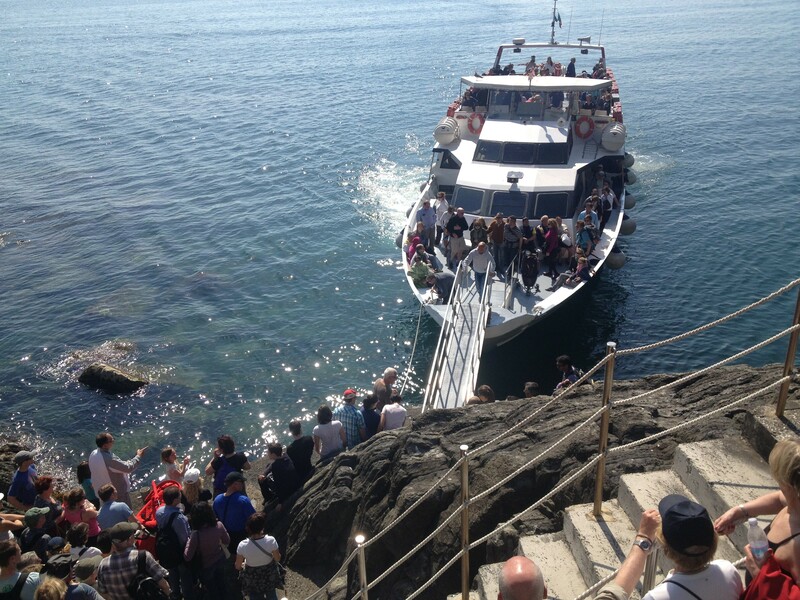 The ferries between the villages usually start running at Easter and will continue up until the first few days of November (although early and late in the season the schedule will be limited compared to the summer schedule). The boats are a great (and relaxing!) way to see the villages and countryside from a different vantage point. Just keep in mind that the ferry will not stop in Corniglia (as it is the only village of the Cinque Terre located off of the sea). The ferries also head down the coast to Portovenere which is a beautiful village that I highly recommend visiting if time permits. Portovenere is about a 30 minute boat ride further down the coast from Riomaggiore and the coastline is spectacular to see. Click here to check timetables for the ferries. 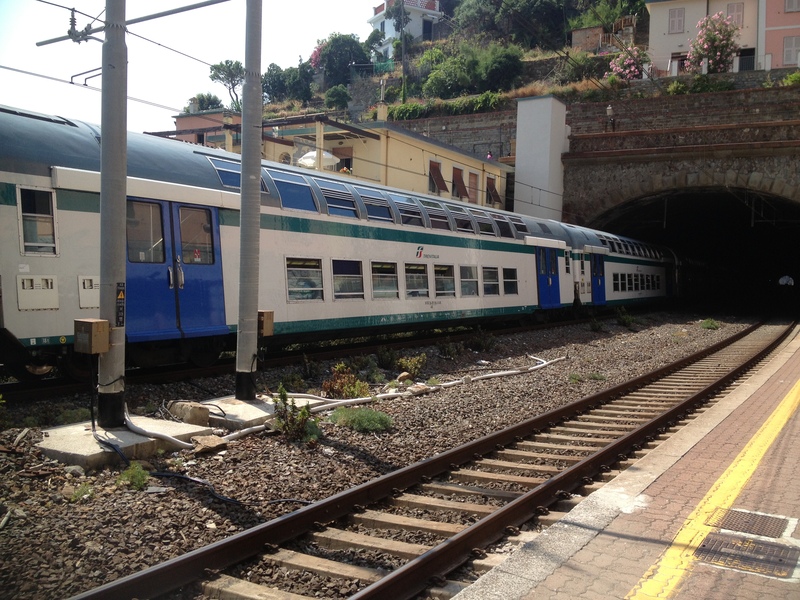 The Cinque Terre are located on the TrenItalia railway line that connects La Spezia (pronounced La Spetz-ee-uh) and Genoa (in Italian Genova). Regional trains travel back and forth throughout the day, starting as early as 5am and as late as midnight. Stop by the national park information points (at any station in the Cinque Terre) to pick up a handy pocket-size schedule of the trains running between the villages. Once you have this schedule you won’t have to be at the station to know when the next trains will be running in either direction. The trains are the least expensive and fastest way to travel between the villages, but don’t expect them to be panoramic (because of the unique geography of our area, the trains pass through tunnels nearly the entire time). You can check train time and schedules on the TrenItalia official website here (enter in where you’d like to leave from and where you’d like to arrive). If you are traveling by train internationally I recommend using the German railway site (as you won’t be able to check international schedules on the TrenItalia website). You’ll find green or white ATC buses in the villages. These buses run up and down in the villages themselves (you’ll see lots of elderly locals using this service) as well as occasionally to other secondary villages in the Cinque Terre (for example, Volastra which is a little village in the Cinque Terre National Park above Manarola). While it is possible to use these buses keep in mind that they won’t be as well connected as the trains, panoramic as the boats or as memorable as the hiking. I love your update.. and I LOVE Italy. We went last year and will be returning next year. I cannot wait! 1) Could you tell me whether those bikes and wheelchairs are allowed on Via dell` Amore and in the trains? 3) I’ve red your wheelchair tip for Riomaggiore, do you have another tips for me? Thanks for reading the blog. Unfortunately the Cinque Terre is anything but wheelchair/walking impaired-friendly. Because of the unique geography here, there are steep inclines and stairs just about everywhere. In Riomaggiore you would be fine on the panoramic loop around the village (there’s a post about it here in the blog), but the last descent is quite steep so you’d probably want some assistance. Unfortunately the Via dell’Amore is closed and isn’t expected to open until 2021. You’d be fine on the seafront promenade in Monterosso and there’s also another great alternative for you in Levanto (one stop on the train north of Monterosso) where there’s a lovely (plus paved and flat) walk to Bonassola and Framura. The path utilizes converted train tunnels that are now solely dedicated to pedestrians and bicyclists.